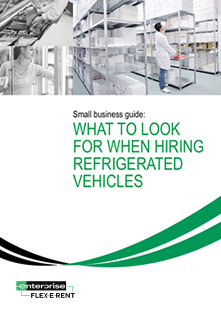 Refrigerated vehicles are essential for delivering perishable goods. But these specialist vehicles demand a certain level of knowledge. So do you know what you’re looking for? How your leasing provider can help keep your business on the road and avoid costly breakdowns - with servicing, maintenance and repair packages. How to stay compliant with strict industry regulations, by being able to hire the latest high-spec vehicles at an affordable price.